Single, coupled or resting up for romance; these tips are for you. Did you know that from a Feng Shui perspective, your bedroom is the most important room in your home and actually your life? Do you long for a good nights sleep? Maybe you wish for someone to share your bed with. You might want to ask yourself if your bedroom is designed with these priorities in mind. Have you made sacred space for Rest and Romance? If you want to share your space with another, you actually have to make room for them and if you want a good nights rest, you need a setting in which that is likely. A few adjustments to your bedroom could make all the difference. Whether you share space with another or not, the Feng Shui principles of balance and harmony can be applied to your relationships outside of the bedroom as much as inside the bedroom. The themes portrayed in the home and your bedroom in particular extend to your outer life as well. Friendships, professional relationships, even casual relationships can benefit from good Feng Shui. Consider the premise that you create an energetic narrative in your private physical space that is then reflected in your public external life. If you happen to be single these Feng Shui tips will help you rest up for love and if you are in a loving relationship, they will enhance and strengthen it! When I think of R&R, I think about Rest and Romance. These are the 2 priorities and themes I focus on when helping clients Feng Shui their bedroom. 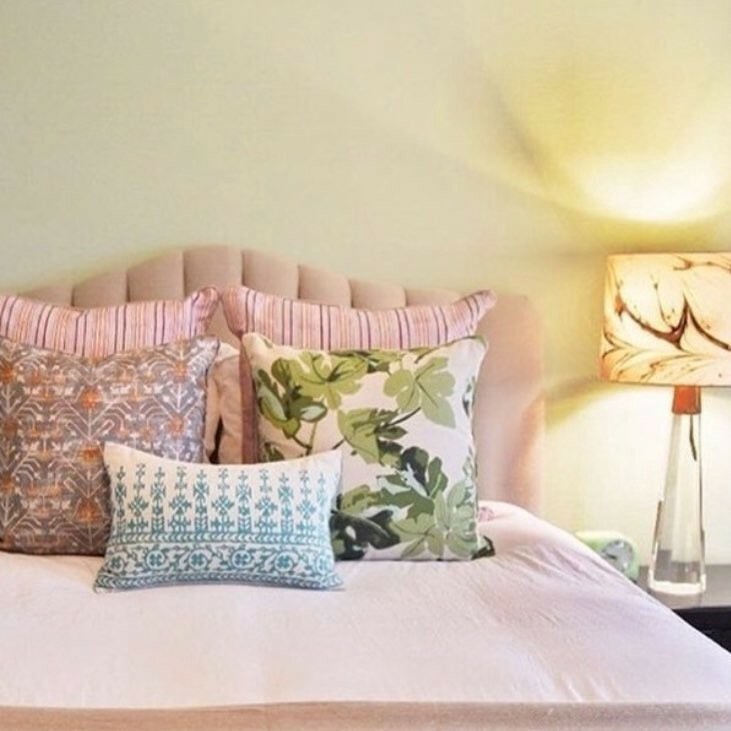 I am pleased to share some simple ways you can align your space with these themes and create a bedroom setting that truly enhances your life and all of your relationships. 1. The Power Position – Your Bed should be in what is called the “Power Position.” Meaning you have a solid wall behind you and full view of the bedroom door but are not directly across from it. Energetically and psychologically, this puts you in a secure supported position. 2. Bed Size – I recommend a bed large enough for 2 if romance is a priority. Ideally a Queen size bed unless you are both rather tall or substantial, then a King would be best. King size beds have a bad-frame made up of 2 Twins so there is a bar between them that serves as a symbolic separation. You can cure this by placing a red sheet between the box-spring and mattress. The size of the bed is symbolic of how much room you have to share. 4. Bedding – Your bedspread and sheets should ideally be skin or flesh tones such as cream, taupe, and pink etc. This palette creates a setting where people are able to be vulnerable and intimate. Avoid very dark tones (too watery and heavy and detract from romance) or very bright tones (too stimulating and detract from sleep). A hint of red spectrum color in say a throw pillow or blanket adds warmth and passion without getting too carried away. You don’t want to overdo it with a bright red bedspread or sheets that could be overstimulating and disrupt sleep. Keep your prints simple and not too dramatic or overstimulating. Try to use organic fabrics that breathe and are tactile, plush and beautiful. The bedding should be as soft as it is beautiful. Think form and function. 5. Night Stands – You want 2 equal and balanced nightstands even if you are single. These represent equality, harmony and balanced relationships romantic or otherwise. 6. Art – Avoid pictures of your family, pets and any religious art in the bedroom. These put a damper on romance. Highlight romantic, aspirational and positive art that depicts your ideal personal narrative and feeds your subconscious with positive messages. 7. Mirrors – Minimize the use of mirrors in the bedroom particularly across from your bed. Mirrors activate “Chi” or energy and keep the room awake at night and can disrupt sleep. They also represent water element and can effectively put out the fire. You can offset or cure these effects by covering your mirrors at night with a beautiful cloth. 8. EMF’s – No TV’s, computers, phones or superfluous technology belong in your bedroom. Minimize the use electrical devices to decrease unnecessary EMF’s which have been shown to cause cancer and disrupt healthy sleep. TV’s can become the third person in a relationship and serve as a distraction as well as a health hazard. 9. Clean & Clear of Clutter – Make your bed! Cleanliness is close to Godliness in Feng Shui. Have a clean orderly room that feels calm and where everything has its rightful place. 10. Ambiance & Narrative – Use Soft lighting, candles, incense, a diffuser, a Himalayan salt lamp, and music. All of your senses should be appealed to in a positive way while creating a cozy romantic setting. May these tips enhance your life no matter what your relationship status is! Every home and every room has its own story to tell and with Feng Shui you have the power to write a new chapter. If you want help that is personalized to your story and your space, you can reach out to me at [email protected] and learn more by visiting www.NarrativeSpaceFengshui.com.